Ms. Zornic is a member of SDP and her complaint does not fulfill the necessary conditions for admissibility of a lawsuit. The European Court should have dismissed this case immediately, without even submitting it for the state representation. This judgment interferes directly with the sovereignty of a member state of the Council of Europe. Therefore, in case this judgment becomes final and binding, it is a source of law, not only for Bosnia and Herzegovina, but for the whole of the Council of Europe, for all 47 states, who, I believe, will be shocked when they see this verdict, because it means that the European Court may order any state to change its constitution. This is, therefore, a direct intrusion on the state sovereignty. On December 15th, 2005, Azra Zornic submitted an application to the European Court of Human Rights, taking an issue with her ineligibility to stand for election to the House of Peoples and the Presidency of Bosnia and Herzegovina, because she doesn’t declare affiliation with any of the “constituent peoples”. This Tuesday, the ECHR ruled in favor of Azra Zornic, once again confirming that the BiH Constitution violates the European Convention on Human Rights, as well as the first and the twelfth protocol of the Convention, just as it did in the “Sejdic and Finci” case. 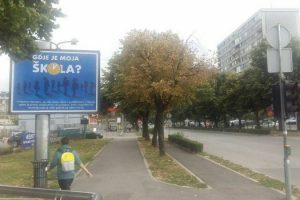 Monika Mijic, an Agent of BiH Council of Ministers before the European Court of Human Rights since 2006, reacted to the verdict fiercely, calling the judgment “shocking”, the case itself “inadmissible” and adding that BiH will appeal the judgment, which affects the sovereignty of country. BiH certainly does have the right to appeal the sentence, since it is not yet final; however Mijic didn’t substantiate her statement that “Zornic v. BiH” does not meet the basic requirements of admissibility with anything but the notion that Azra Zoric is a member of SDP (?!). Such a comment is truly astonishing, coming from a person with a legal background who should know better then to present one’s political affiliation as a legal obstacle to appeal to the ECHR. 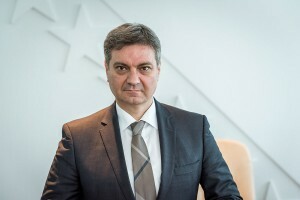 Moreover, implying that a citizen can’t file a complaint to the ECHR due to membership in a political party, is a statement which itself constitutes discrimination on the basis of political affiliation, which is also prohibited by the Convention for the Protection of Human Rights and Fundamental Freedoms. Apart from allowing herself to publicly display discriminatory attitudes – and in a comment on a verdict which itself deals with constitutional discrimination – the representative of the Council of Ministers of BiH had also put forward a series of statements which are both inaccurate, and inconsistent with her previous opinions. In contrast to her most recent statement that the ECHR’s judgment “interferes directly with the sovereignty of the state”, three years ago, when commenting on a completely identical ECHR case of “Sejdic and Finci v. BiH”, Mijic was on an entirely different page. In the case of Sejdic–Finci general measures require amendments to the Constitution. Therefore it is necessary that local authorities understand the importance of international obligations of Bosnia and Herzegovina and that the judgment must be executed. (…) But still other judgments remain, especially the Sejdic—Finci one, which will also be discussed at the next week’s Committee of Ministers meeting, as it was on every previous meeting. This is a very embarrassing situation when the representative has to come to the Committee meeting and has to repeat time and again that we still don’t have the state level government, and that absolutely nothing has been done yet regarding the judgment. The Implementation of this verdict is primarily an international obligation, but also an opportunity for representatives of the authorities to, independently and without solutions imposed by the international community, change the existing provisions of the Constitution relating to the Presidency and House of Peoples of the Parliamentary Assembly of BiH, as well as other discriminating regulations and provisions hindering Bosnian path towards Euro-Atlantic integrations. Successful execution of this task would undoubtedly demonstrate political maturity and responsibility of country authorities and would bring new hope to citizens concerning the commitment of politicians towards the establishment of a truly democratic society and the rule of law, as well as their ability to work together and form a government established in accordance to the constitutional rules, which would be acceptable to everyone BiH, and which will allow progress in the Euro-Atlantic integration. Therefore, the question of the execution of this judgment is also the question of the future of Bosnia and Herzegovina and the fate of all of its citizens. The Court held that Ms Zornic’s case was identical to the Sejdic and Finci v. Bosnia and Herzegovina case of December 2009 concerning the inability of a Roma and a Jew to stand for elections to the House of Peoples and to the Presidency of Bosnia and Herzegovina. It therefore came to the same conclusions as in that case, namely that the constitutional provisions which prevented Ms Zornic – and the applicants in that case – from running for election were on the ground of origin and had been put in place to ensure peace following a brutal conflict in Bosnia and Herzegovina between 1992 and 1995 marked by genocide and “ethnic cleansing”. However, noting the significant positive developments in the country and the existence of other mechanisms of power-sharing which did not automatically lead to the total exclusion of representatives of other communities, the Court held that Ms Zornic’s continued ineligibility to stand for election had lacked objective and reasonable justification, amounting to a discriminatory difference in treatment. The falsehood of Mijic’s statements on the “inadmissibility” of Zoric’s case and the “scandalous” nature of ECHR judgment, needs no further explaining. The discrepancy of her own attitudes on ECHR judgments is also evident, since all the arguments she used to wholeheartedly support the Sejdic and Finci verdict, also apply to Zornic’s case in every respect. Since the reasons for this radical opinion shift clearly do not lie in the legal merits of the case, it can be assumed that this newly found outrage of representative Mijic is related to the shift in the political climate in the country and the region, and even in the European Union. Due to the indolence of BiH institutions and the doings of BiH parties’ leaders, the implementation of the “Sejdic and Finci” verdict has long ago been turned upside down and made into a case for “resolving the Croat question”. 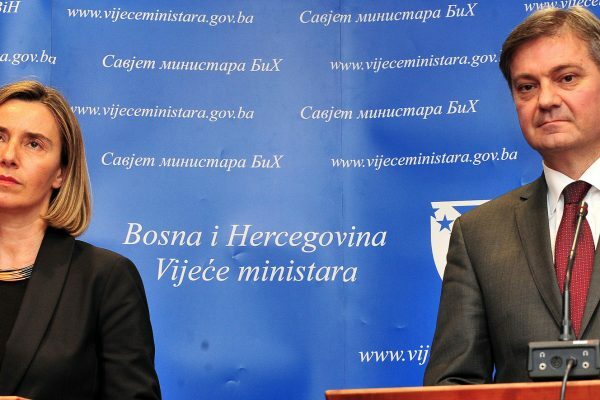 It has, therefore, become almost a routine for both local and foreign officials to dispute the very essence of ECHR’s rulings concerning the constitutional discrimination and disadvantage of the “Others” in BiH. The changing attitudes of representative Mijic – from passionate support and advocacy, to the utmost condemnation of ECHR’s verdicts which require constitutional change in BiH – can probably only be interpreted as a product of this exact political shift.